Prepare For the Holiday Season — Take Care of Your Printer Cartridges! If your company is open during the holidays (or even if you’re printing your own Christmas cards), it pays to take care of your printers. Printers are very useful tools during the holiday season, and functional ink cartridges are the key to all the beautiful images we see in holiday-related media. 1. Store printer cartridges properly after purchase. If you are not going to use a cartridge immediately, make sure it is kept in the original packaging that it came in (if it is in good condition and the seal is not broken). Be careful to not store the cartridge in conditions that are too warm — this can lead to the ink expanding, which can lead to leaks. The print head must also face upwards to prevent leaks, and to protect it. Special Note: If the cartridge has been taken out of its packaging, make sure you find some sort of packaging to protect it. Also, make sure never to store different colored inks together — if one leaks, you can lose both cartridges. 2. Make sure printer cartridges don’t dry out. Looking after your ink cartridge doesn’t stop the moment you put it in the printer. 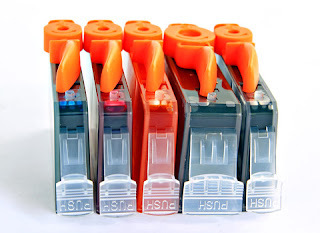 Regular maintenance needs to be carried out, to make sure the ink doesn’t dry up within the cartridge. Dried-out ink cartridges can cause harm to your printer, if you try to use it, with dry ink. To stop your printer ink cartridges from becoming dry, use your printer at least once a week. Most printers have a test button which will print out one page using all of the inks, which will test the status of all the ink cartridges. 3. Work to prevent printer cartridge clogs. 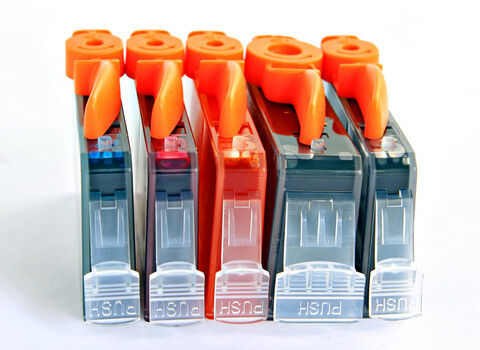 A common mishap with printers is clogged printer ink cartridge heads. To prevent this, wipe the print heads of your cartridges (after removing them from the printer, of course!) with a damp linen cloth. This method should be completed every month, because it will help your printer and cartridges produce more quality prints for a longer period of time. Ink cartridges are important parts of your printer, and need to be maintained just like any other piece of machinery. During the holiday season (the season of fliers and cards! ), having working printing cartridges is more important than ever. 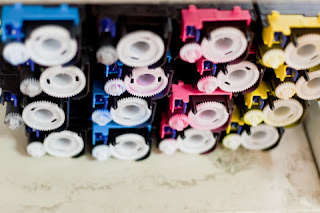 Prevent future mishaps — tend to your printer cartridges! Do you have a printer cartridge mishap story? How do you take care of your printer cartridges? tell us in the comments!